Here are some common moths (and a wasp) commonly found in gardens. This moth occurs on the coast. 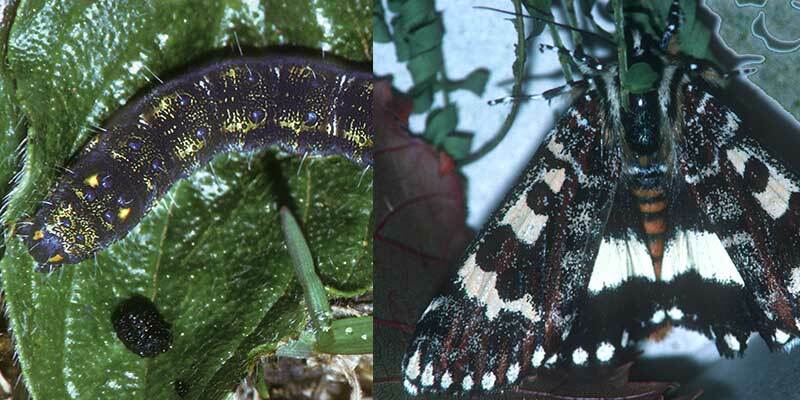 Its caterpillars may completely defoliate their food plants in gardens. These plants include garden shrubs with pea-like flowers such as Sophora microphylla, Cytisus proliferus and Telene stenopetala. months. They are drab-coloured and fly mostly at night. Caterpillar known as: Woolly Bear. Mature caterpillars are about five centimetres long with a dark-reddish head capsule and a body densely clothed with dark brown to red-brown hairs. They feed on herbaceous plants and weeds such as cinerarias, dandelions and plantain. On cool, clear days they may sometimes be seen basking on warm pathways. Also known as: Heliotrope Moth. 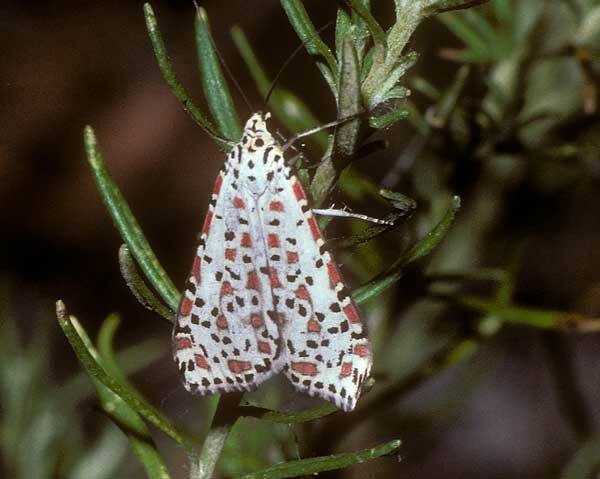 Also known as: Magpie Moth or Cineraria Moth. 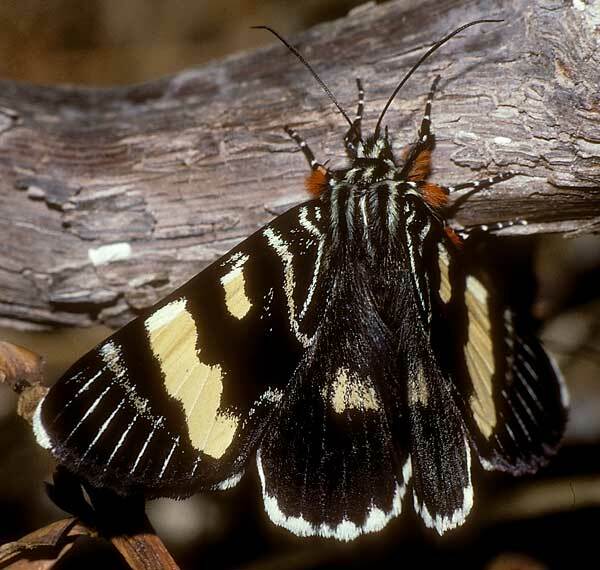 This member of the tiger moth family is a day-flier, common in the suburbs in some years. Its caterpillar feeds on Senecio species, both native (e.g. ‘fire weeds’) and introduced (e.g. cinerarias). Its mature caterpillars are black with reddish stripes and covered with long black bristles. 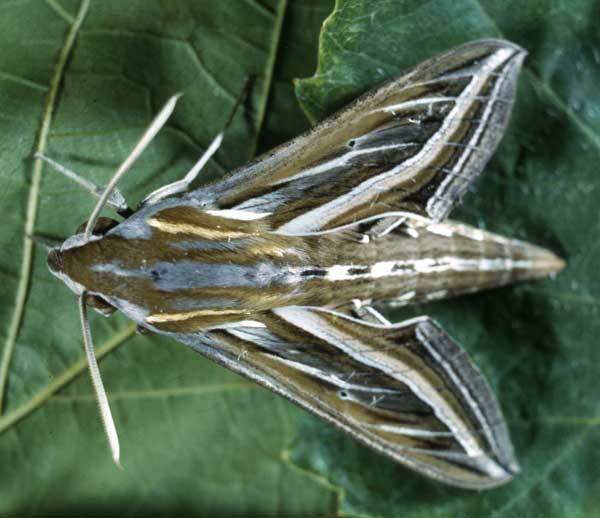 This moth is a common day-flier in early spring, and a minor pest of grapevines. Caterpillars are often found on grapevines, and adults can often be seen taking nectar at almond blossoms and lantana flowers. 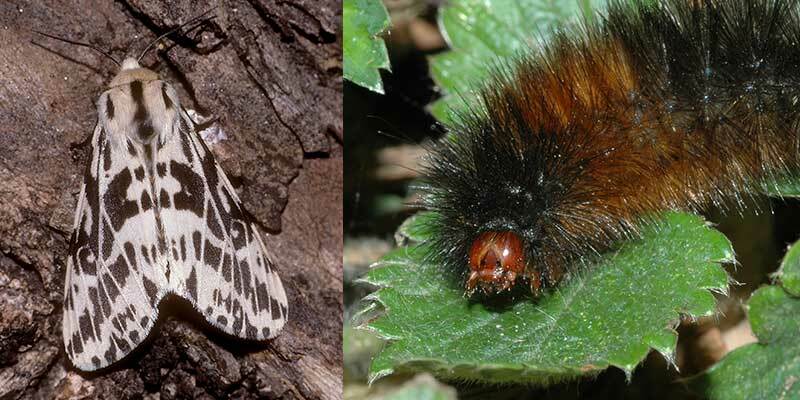 Caterpillars of this moth have two colour forms—green and brown—and bear a large oval eyespot on the fourth body segment and a smaller, yellow spot on the fifth. The distinctive horn at the rear end is straight and mostly black. The caterpillars are often seen feeding on grapevines. 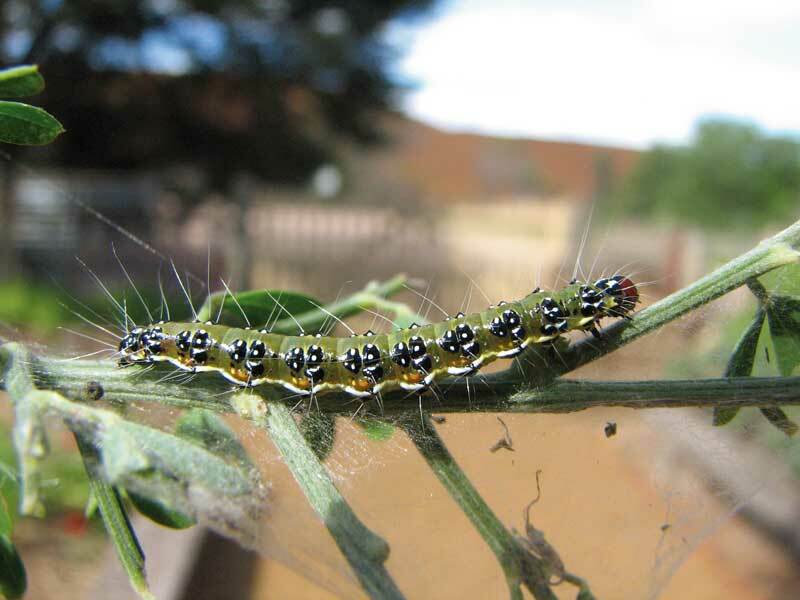 The bright green caterpillars are a native pest of vegetables and ornamentals. 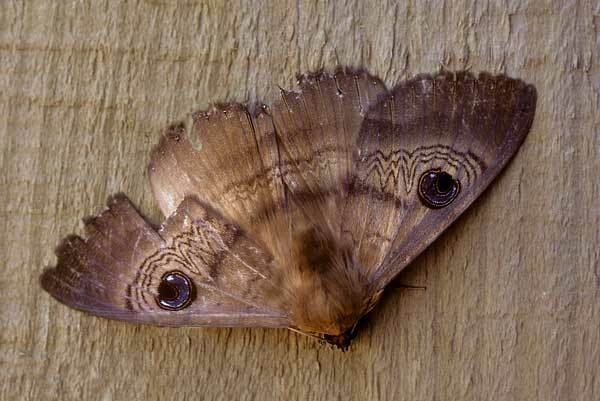 Also known as: Large Brown House Moth. 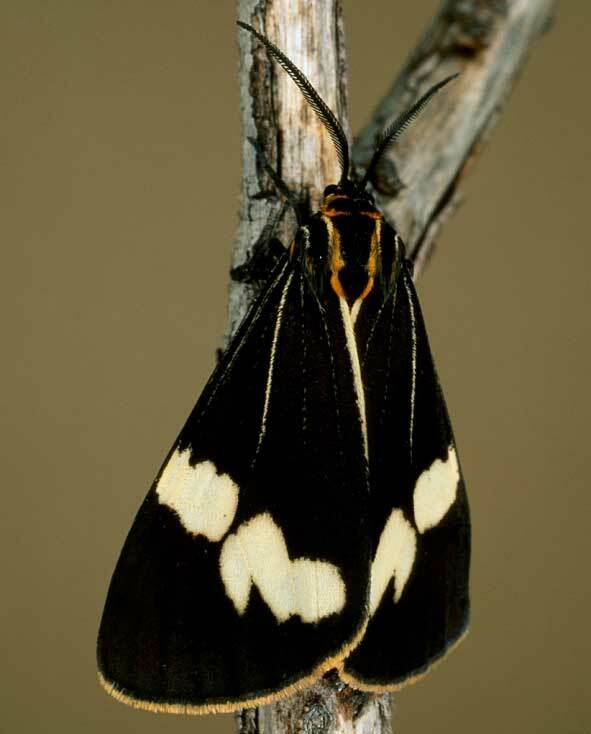 The adult moth is commonly seen resting under eaves or on ceilings. 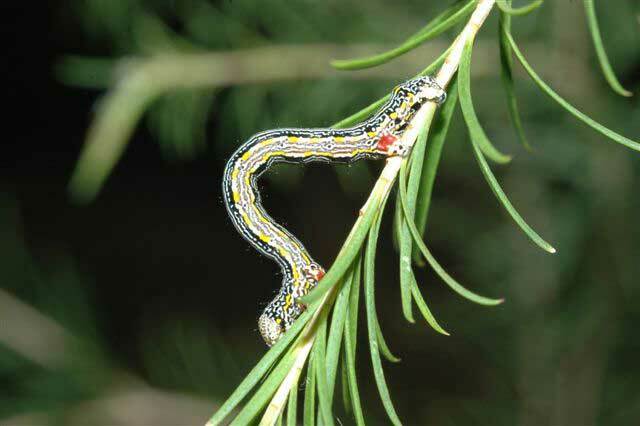 The caterpillars rest motionless, outstretched along acacia stems during daylight in late spring. The caterpillars feed on acacia species on the Adelaide Plains. The caterpillars have a pair of yellow spots behind the head and feed on pasture plants in full daylight and are somewhat gregarious. The conspicuous adults fly by day during the autumn. 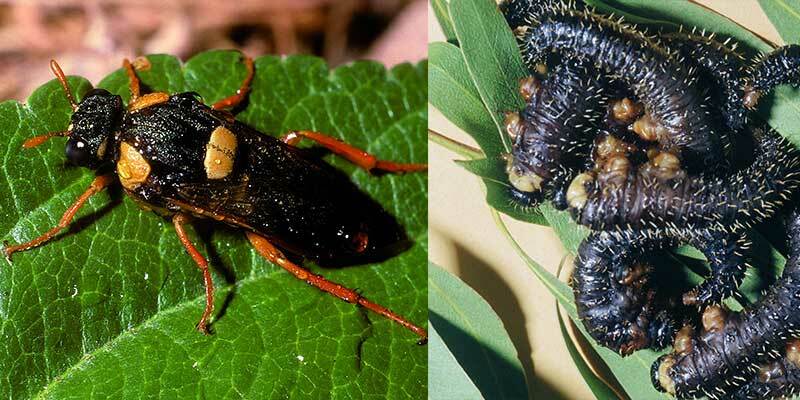 These wasp larvae can be seen in clusters during the day on eucalypts. 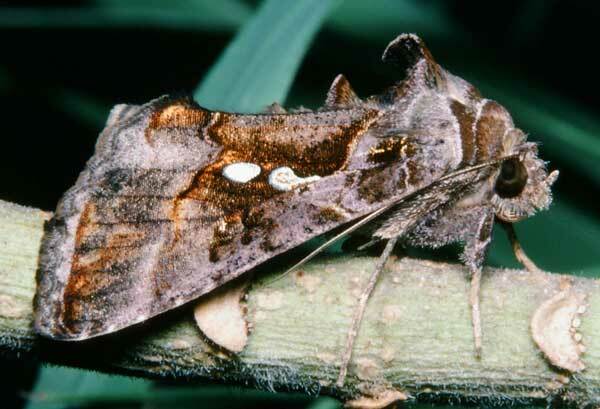 At night they disperse to feed and can often defoliate the trees. When disturbed they exude a strong-smelling toxic fluid and flick their abdomens as a warning.